Warning: This happy-ending story does contain some graphic and disturbing images. 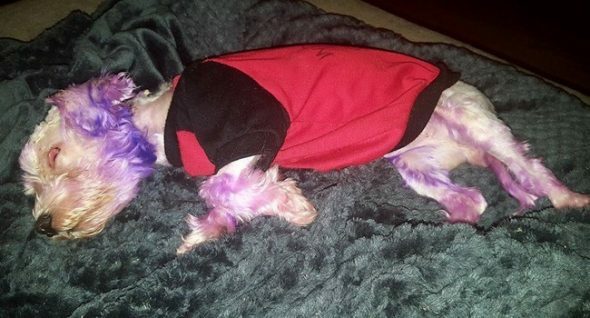 A Pinellas County, FL, animal shelter is warning people not to dye their pets’ hair with dye intended for humans after an adorable maltese-mix dog suffered life-threatening injuries. 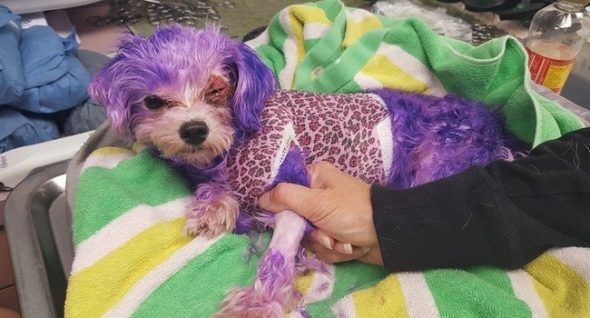 Pinellas County Animal Services posted disturbing photos to its Facebook page depicting the sad, painful journey of Violet, a 5-pound dog who came to them with severe burns after she’d been dyed purple with hair dye meant for humans. “Violet’s eyes were swollen shut, she was limp and listless, she had obvious burns to her skin – we gave fluids, pain meds and we gently washed as much of the chemical dye off as we could, we bandaged her up. 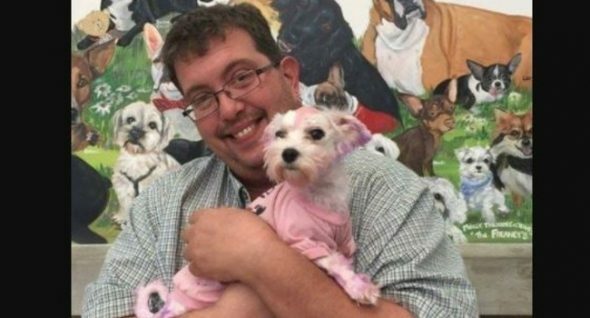 Then we waited – Violet went home with our veterinarian and we waited,” said Pinellas County Animal Services on social media. “…We were amazed that she had made it through the night. But still we waited. She wasn’t out of the woods but she was alert and freely offering kisses,” said PCAS. After carefully shaving the dog to assess her injuries, they were horrified to find her skin begin to slough off. Three months of antibiotics, fluids, honey treatments and of course, pain meds, followed. The love and care Violet received paid off. They worried about her eyes. And her skin. And whether her hair would ever grow back. “When the final bandages came off we breathed a collective sigh of relief – Violet was beautiful,” said PCAS. Now, Violet’s difficult journey is mercifully at an end. She has wonderful new owners who happen to specialize in beautifying pets, the PCAS staff wrote! 867-5309… Sweet Senior Jenny’s Got Your Number! And She Needs A Forever Home!